It was Day #3 of Chocolate and Rocky Road Theme Week today. I elected to pursue a theme week packed with cold ice cream entries during a week with somewhat frosty weather. But, evening temperatures rarely dip below 40 degrees (F) for too long where I live. 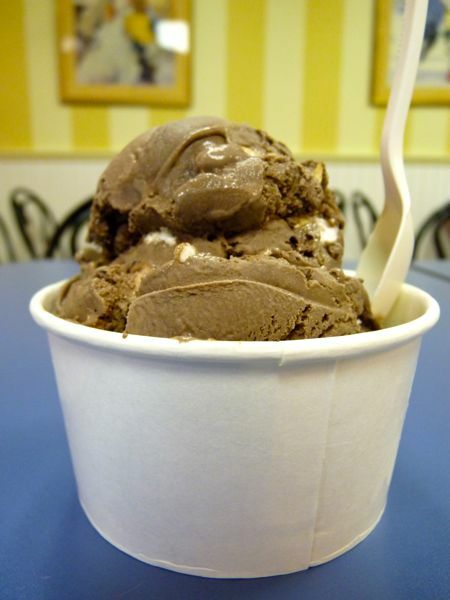 And, I was looking forward to sampling the Rocky Road ice cream at the local ice cream shop -- Rick's Rather Rich Ice Cream (Palo Alto, CA). 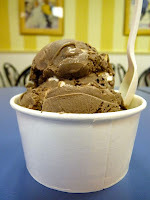 I sat down at Rick's to enjoy a Small cup of their Rocky Road (made with toasted almonds instead of walnuts), and I wasn't disappointed. Play it again Sam.